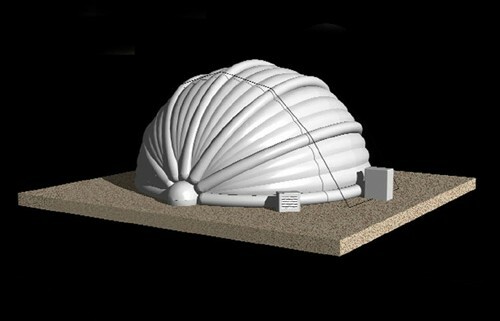 The Inflatable Telescope Dome was designed to protect an astronomy laboratory on top of the mountains in Hawaii. Normally, the dome stays open but when the bad weather approaches the telescope dome will automatically inflate and create a hemisphere encapsulating all the equipment. It was built to withstand winds of 180 km/h and tropical rainstorms.